Call me old-fashioned or a traditionalist, but I prize the time-honored excellence and precision craftsmanship of both Swiss-made mechanical and automatic timepieces. Each feature intricate bespoke movements inside that were originally conceived hundreds of years ago. 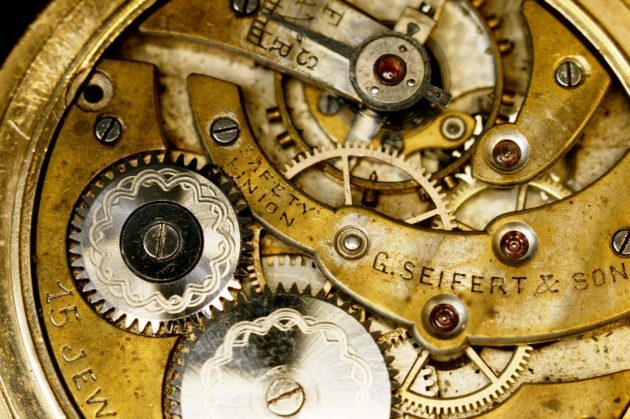 Mechanical watches have a spring-driven mechanism inside powered by a series of gears oscillating back and forth at a constant rate and were introduced in the early 17th Century. 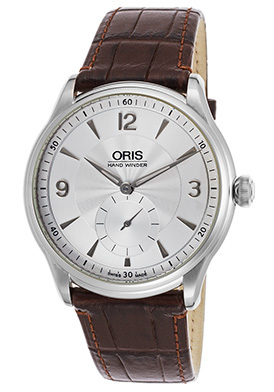 They do require manual winding on almost a daily basis to keep the movement running smoothly. Automatic watches feature a built-in mainspring mechanism that winds automatically from the natural motion of a user’s arm and provides sufficient energy to run the timepiece and avoid manual winding. Swiss watchmaker Abraham-Louis Perrelet introduced the very first automatic timepiece in 1770 with a pocket watch model. As a rule, many Swiss-made automatic and mechanical timepieces do not lose their value or prominence over time. 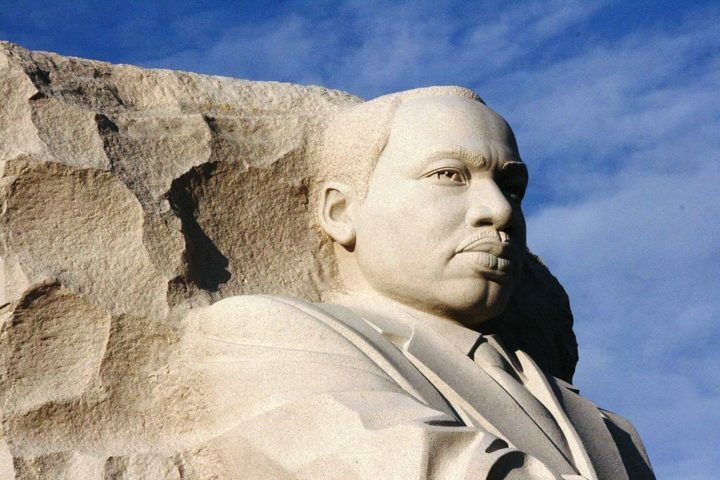 They do however increase in value and also hold the distinction of becoming family heirlooms that are handed down from generation to generation. These are genuine smart watches…smart in craftsmanship, smart in performance and smart in value. You’ll find an impressive array of Swiss-made mechanical and automatic watches at World of Watches from many of the most sought-after watchmakers in the world, including Oris, Corum, IWC, Eterna, Oris, Rolex, Bell & Ross, Omega, Breitling, TAG Heuer, Raymond Weil, U-Boat and Maurice Lacroix. Eterna has been hand-crafting precision-made Swiss timepieces since the brand was founded in 1856. The Eterna Madison Mechanical Watch for men reflects a rich heritage of time-keeping excellence with a contoured rectangular shaped case in polished, premium grade stainless steel, presented on a handsome black alligator strap with a deployment clasp closure. An exhibition skeleton case back lets you see the intricate mechanical movement inside. The stationary stainless steel bezel surrounds the silver-colored dial with polished silver–tone baton hands and hour markers. Features include a scratch resistant sapphire crystal above the dial and water-resistance to 50 meters or 165 feet. 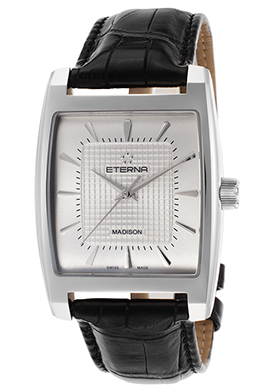 The Eterna Madison Mechanical men’s watch is 35mm wide and 9mm thick. The Alpina Avalanche Regulator Mechanical Watch for men offers the best of both worlds. This outstanding Swiss-made men’s timepiece features time-honored, traditional mechanical craftsmanship in a highly modern setting. The contoured round case in black ion-plated stainless steel has contrasting brushed and polished surfaces. The attractive black rubber strap adds to the sleek contemporary design. The legible black dial with fluted detail on the background features small-second and 12-hour sub-dials, luminous baton hands and hour markers. Features include an exhibition skeleton case back, a 42-hour power reserve and water-resistance to 100 meters or 330 feet. 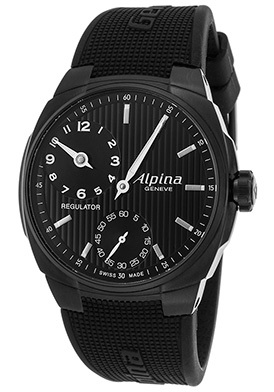 The Alpina Avalanche Regulator Mechanical men’s watch is 44mm in diameter and 12mm thick. The IWC Watch brand is highly regarded and noted for its precision crafted automatic and mechanical timepieces made expressly for men. The IWC Portuguese Yacht Club Men’s Chronograph is an extraordinary automatic timepiece selection for men. This precision crafted Swiss-made men’s watch features the premium grade stainless steel case with a satiny brushed finish, presented on a high-performance black rubber strap with attractive textured detail and a convenient deployment clasp closure. The integrated stationary bezel surrounds the black dial with two sub-dials, luminous sword hands and Arabic numeral hour markers. Features include small-second, 60-minute and 12-hour countdown timers. Additional features include an exhibition skeleton case back, a scratch resistant sapphire crystal above the dial and water-resistance to 60 meters. 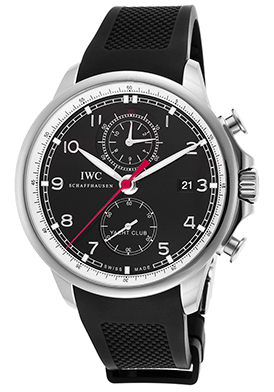 IWC Portuguese Yacht Club Men’s Chronograph is 43mm in diameter and 15mm thick. The Maurice Lacroix Masterpiece Flyback Chronograph is another exceptional automatic timepiece selection. This classically elegant Swiss-made men’s watch features the premium grade stainless steel case and handsome black alligator strap with a convenient deployment clasp closure. The stationary tachymeter bezel with engraved markers surrounds the metallic silver-colored dial with automatic month and date windows, small-second, 30-minute and 12-hour sub-dials, blue skeleton hands and raised outlined silver-colored Arabic numeral hour markers. Features include an exhibition skeleton case back, a scratch resistant sapphire crystal above the dial and water-resistance to 100 meters or 330 feet. 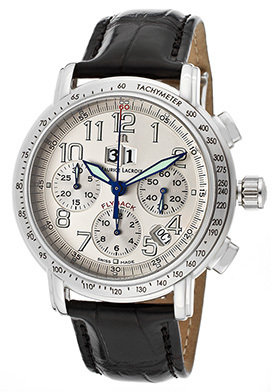 The Maurice Lacroix Masterpiece Flyback men’s chronograph is 42mm in diameter and 14mm thick. Rolex is a highly revered brand throughout the globe and the brand is renowned for its superlative automatic timepieces for both men and women. 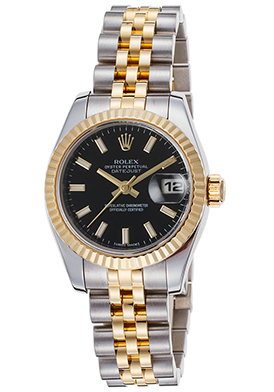 The Rolex Oyster Perpetual Datejust women’s watch is in a league of its own. Features include a locking screw-down crown and case back for water-resistance to 100 meters or 330 feet and a scratch resistant sapphire crystal above the dial. The Rolex Oyster Perpetual Datejust women’s watch is 27mm in diameter, 10mm thick and has been awarded official Chonometer certification from the esteemed COSC (Official Swiss Chronometer Test Institute). Automatic watch interior image courtesy of Wiki Commons. Amazing Summer Deals: Up To 90% Off Only 3 Days Left.